Board games have been the staple for household family fun in the States for nearly a century. And when we consider games like Chess and Go, the fun goes even further back, as much as 2500 years in the heart of China! Stretching across continents, and bringing countries together. 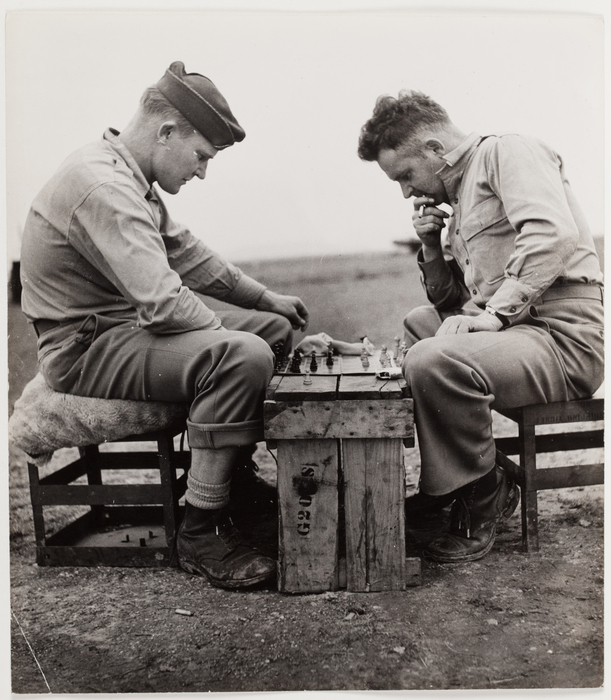 Even at the height of World War II, Chess was a way for people to relax and share cultural pass times. Growing up, my family and I enjoyed family game nights as often as we could. Games like Risk and Monopoly would occupy an entire evening. We would laugh and play, or even fight about the rules sometimes, but we always had fun because we were spending time together. It was our way of turning off the TV, finishing or dessert and our parents forgetting about work. We talked to one another, face to face, and remembered that we were a family. Something today’s culture sometimes forgets, overwhelmed by the hustle and bustle of work and the ever faster pace we live our lives. When I was old enough to understand the rules better, my great grandfather, Ed, taught me how to really play Chess. He and his brother had played ever since they learned it from the British during their time overseas fighting in WWII. And they spent decades perfecting their skills against one another. Even going as far as creating a family tournament with a trophy and all! As a young boy, I found excitement in the challenge of competing against another person, and with the benefit of not getting into fist fights at school or with my brothers, Chess provided an opportunity for a boy to express competitiveness safely. It was this way of expressing competitiveness safely that brought me to play Chess, but it was the time I got to spend with my family that made me love Chess. 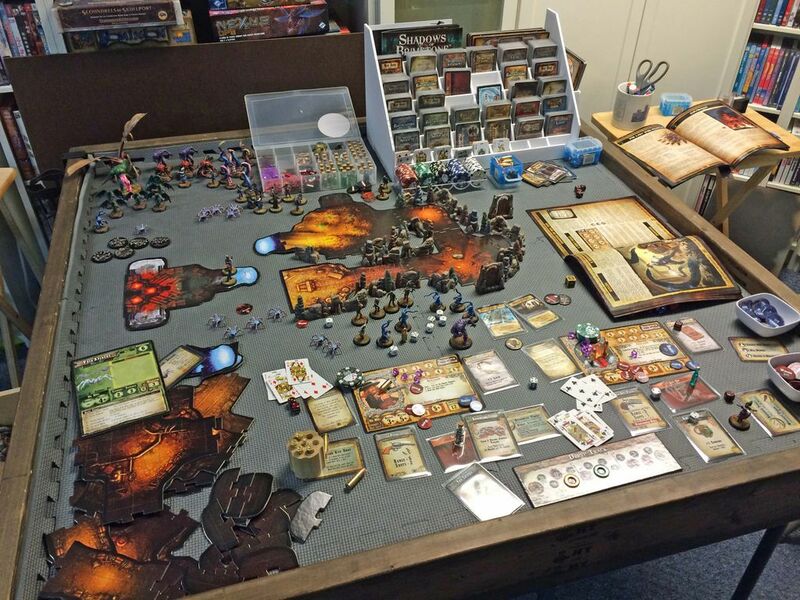 Yet again, another experience of mine that continued to build upon my love of board games. Fast forward a decade. I was in college then and had had the opportunity to meet new people with different backgrounds. This included different childhood backgrounds growing up and different board games played with family. When I heard about the chance to get together and play a game of Dungeons and Dragons 3.5 (The current addition at the time), I was ecstatic. I had heard about the game before, and I knew it was similar to the games I enjoyed on gaming consoles, so I jumped at the opportunity. Instantly I was hooked. And it was a completely different way of playing for me. Where before all my previous boyhood board games were a way to express my competitiveness and compete against my family and friends, this was a way to bring us together against a common foe and tell a fantastic story together. Something that, as I got older, I came to enjoy more, and continue to enjoy now. It combined everything I love about spending time together and making a fantasy come true through storytelling, and packed it into one evening activity. Over the last couple decades, I have made many new friends. Several of which had our friendship strengthened, or even started, by playing Dungeons and Dragons together (Looking at you Stew). This, in my eyes, gives credibility and meaning to an obsession with the game, and board games as a whole. So, life continues and another decade has passed. New additions of Dungeons and Dragons have entered the ever growing community of Table Top Role Playing Games (TTRPG), and the internet has exploded with podcasts and blogs like this one. And even LIVE streams of people playing Dungeons and Dragons has helped to further popularize the game and its way of creating bonds and experiences with other people. However; as my friends and I get older and we take on more responsibilities, like kids and families of our own, it becomes ever more difficult to meet up with one another, let alone dedicate a specific time and day for our friendship bonding game time. But wait! We have the internet now! There must be something we can do, right? You bet there is, keep reading and I’ll tell you all about it. Its called Play By Post, or PbP for short and its what I’ve done to curve my itch to play a satisfying story with my friends and family. It’s nothing new, in fact grognards have been using this method of play ever since the phrase “You got mail”, and dial up was the only way to get connected. Its a way for friends to keep in contact and play the game they love over long distances and over a long period of time without having to specify a time or location. When days have already become too hectic and distance could make meeting up near impossible, Play by Post makes it possible. It works just as it sounds, you make a post and send it out to the rest of the group. Then, you wait for the next person to respond, and so forth. Its pretty easy and, as long as your group is dedicated, it can go on as long as you can keep the story going. As a husband, and father of three, I have found this medium of play to suite me well. I keep in constant contact with my brother and friends who have since moved away. And I can still maintain my responsibilities here at home. One of which is getting around the table and teaching my kids the power of board games. Turning off the TV, the smartphones and forgetting about work, like my parents before me, board games have yet again provided me with the chance to make new experiences with the ones I couldn’t live without. Well that’s all for now, I’m off to play some Candy Land with my 3 year old. In a future blog, I’ll go into a deep dive discussion on how my group plays Play by Post and what the party has been up to thus far. Interesting Topic! Looking forward for more of it! Thank you. I enjoyed writing it. It brought many old memories to the surface that i hadn’t thought about for some time.